DVR AHD 720p - Our AHD 720p will accept AHD 720p cameras for an excellent clear picture. The DVRs will also accept D1/960H as an alternative [not together]. Also ideal for value standard 960H analog. If Hybrid required select our AHD 1080p DVRs. AHD(Analog High Definition) solution which transmits Analog Megapixel Video through a legacy coaxial cable hits Video Surveillance Market. 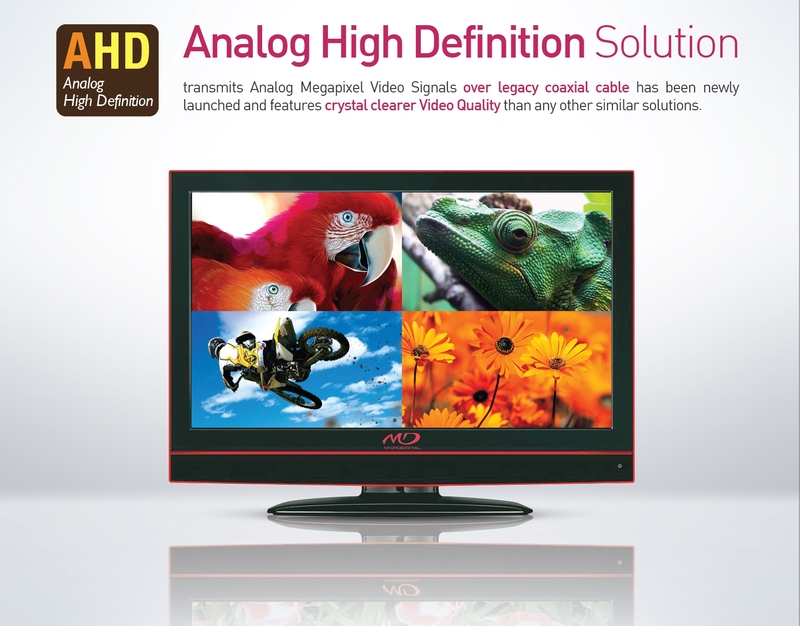 Newly launched 720p AHD and AHD 1080p (Analog High Definition) Product Line-ups.